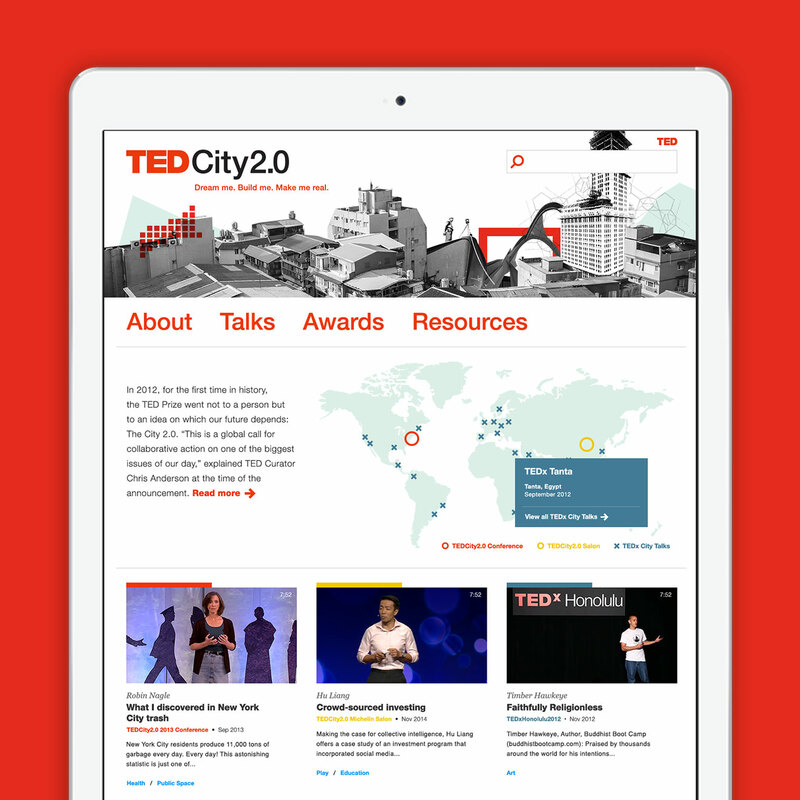 We’re so excited to announce the arrival of the newly re-designed TEDCity2.0 website! Inspired by our branding work for the 2013 TEDCity2.0 conference here in New York, and encompassing presentations from over 35 different TED events world-wide, this new website offers urban planners and the rest of us regular folks a treasure trove of talks by the most inspiring city-influencing individuals examining our collective experiences of the urban environment, and visions of how it is being re-imagined for the future. A few of our personal favorites from the TEDCity2.0 archive include: Crowdsourcing the quiet, The Walkable City and Mapping experiences and access to opportunities in cities.